The Organizer is a polyphonic organ emulator designed to mimic the organ tones of yesteryear crossed with the highly unique “Guitorgan”. It has a warm and very analog feel with a hint of Leslie warble that is unlike other modern octave shifters. It is simple to dial in and tracks chords as well as single notes perfectly all over the neck on both guitar and bass. Not only can the Organizer be used on strings, it has been widely used on everything from vocals and synths to horns and drums. If it makes sound, the Organizer can handle it! 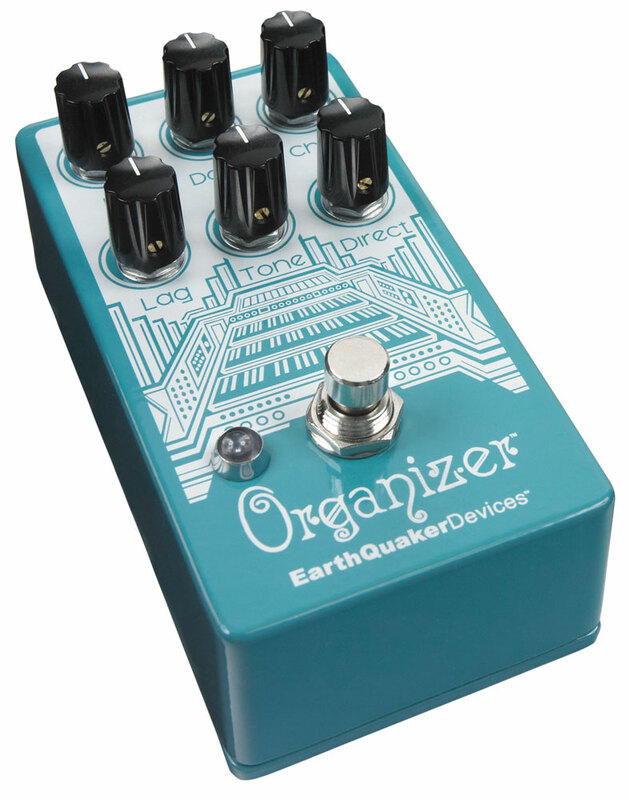 The Organizer uses a mix of analog and DSP circuitry with true bypass switching and an all analog dry signal path. 1. Up: Level control for the octave up. 2. Down: Level control for the octave down. 3. 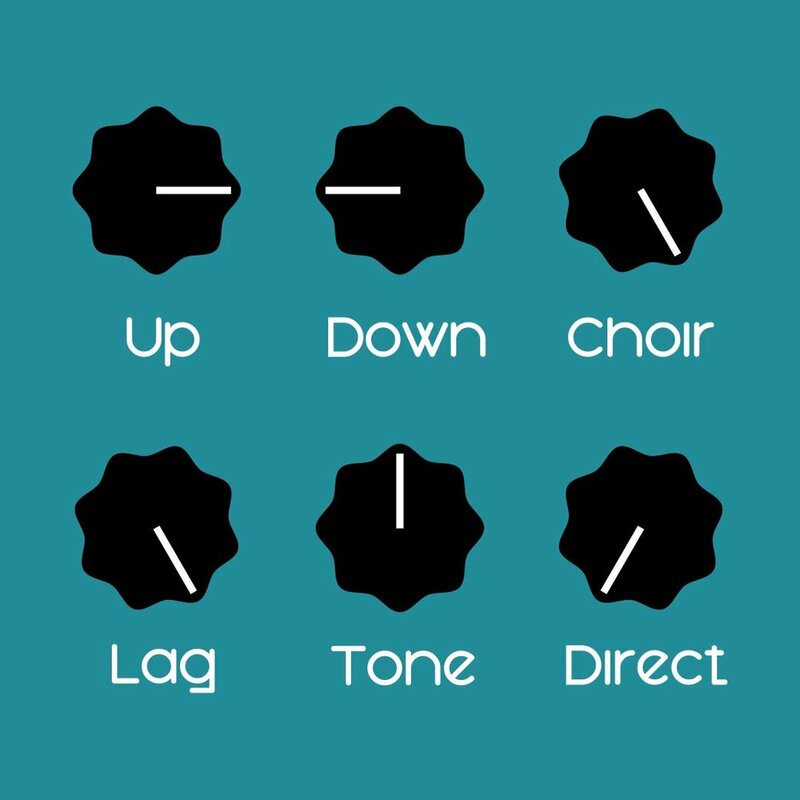 Choir: This control takes a mix of the octave Up and octave Down setting and regenerates it. The end result is an additional 2 octaves up, 2 octaves down and direct signal with a slight delay that adds a “church organ” like feel. This control only works if the octave Up and octave Down are in use. 4. Lag: Delay control for the wet signal. Full counterclockwise is minimal delay. Delay time increases as it rotates clockwise. 5. 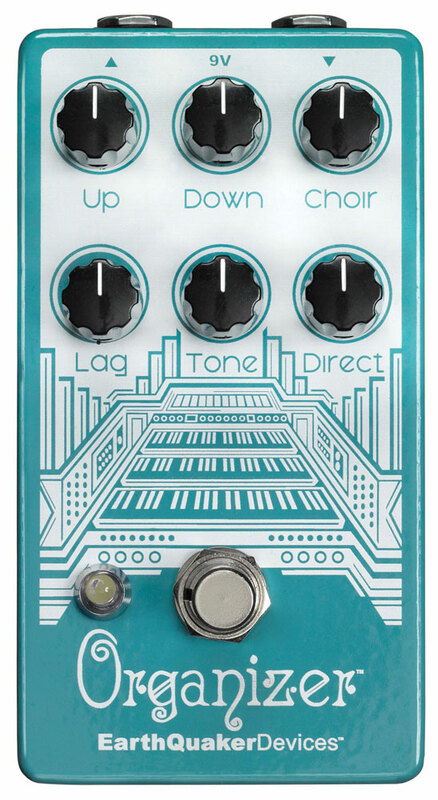 Tone: Rolls off the high end as you dial it counterclockwise. 6. Direct: Level control for the analog dry signal. Ascending / descending staccato picking.